I'm excited... this was a good month for me in the book department. 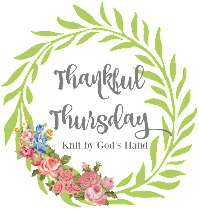 & I've already bought 2 new books to jump into, plus I want to re-read 13 Reasons Why since I have forgotten half the things & the show doesnt ring bells in some areas - so I want to read & compare. But here's my past month! Another re-telling of the Beauty & the Beast story... which I'm always a sucker for & will buy every one I can get my hands on. This is definitely not like the Disney version, but does still hold Fairy Tale qualities & magic. & its very 'time period-esque'. My only problem with the book was that you are more than half way through before we even get to hear about the Beast & probably about 75% in before Belle meets him. I wish there was more interaction between the two of them. More of that story. But most of this is told about her family, & the town legends of a tree called the Heartwood Tree, which comes into play in the end, but it was just missing something for me. I'm glad I have the book for my Beauty & the Beast loving heart... enjoyed the story... but its not a total winner for me. 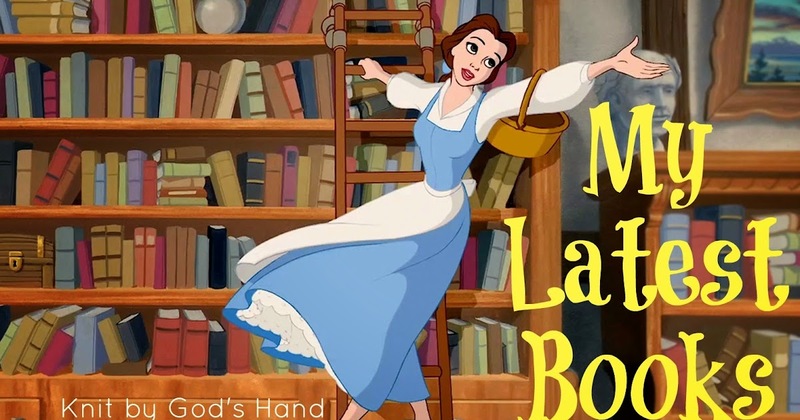 I'd still recommend it though if you love the Tale as Old as Time story. Plus, its a really fast read. Just barely over 200 pages. This is one to zoom right through. "True love never has just one face, does it? It must always have two, or it isn't true love at all"
Why did I wait so long to get this book? What would you do if the love of your life, who you married, was presumed dead, & after a struggle you move on with your life, only to find a new love in an old friendship... & then find your husband is still alive? I was gasping & couldn't read fast enough to find out how this was going to go. & I was so torn. I loved both of the guys - Jesse & Sam. I couldn't root for just one. Oh the struggles. I just liked the ease of the writing & story telling. It was like a friend just telling their story to you - not like a book trying to push a story AT you. I've heard so many good things about this author - after reading this, I've already order a few more of her books & cant wait to dig in. "Just because something isn't meant to last a lifetime doesn't mean it wasn't meant to be"
What a book that puts attitude in perspective. We did this book for our Bible Study along with the workbook & it was just a wake up call how much our attitudes & the way we look at our lives, our every days, can make such a difference. This book talks about Margaret's journey when she found out she has cancer & had to go through the treatments to save her life. It's a hard read sometimes to see what she had to go through & had to face... but you come out seeing what real life joy can look like. It's not always perfect & the struggle is real in finding it, but its possible. I love the book has extra sections at the end on things to say to someone who is facing a crisis, & one of my favorite lists, a playlist of songs that are encouragement for joy. I am currently going through all of them & focusing on the words of each of them. "Joy means holding on to hope in God regardless of the outcome. Declaring we will give up everything & entrust ourselves more fully & wholly to the One who holds all things together"
I was sent this book to review but SO GLAD it was sent my way. I'm all about easy cooking & these are recipes that are made with the intentions of having kids help in the kitchen - just my speed. But the recipes arent juvenile. There are some really good ideas in there. My favorites are the desserts just because who doesnt love easy desserts? Being a vegetarian, not every recipe works for me, but there are actually vegetarian recipes in there & some that I can alter to work for my lifestyle. It's a small book too, easy for kids to hold. I just love that Shay really does have her kids in the kitchen helping out early on. 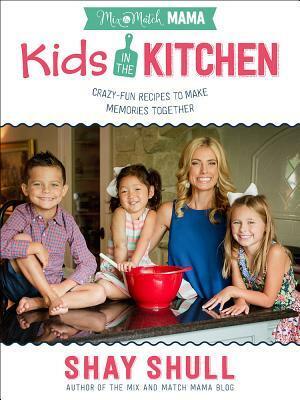 If you have kids & they are interested in working in the kitchen with you, get this book. You'll love it. If you love easy recipes for yourself, you'll love it. Side note - the Tex-Mex Ravioli bake is one of our favorite recipes now. 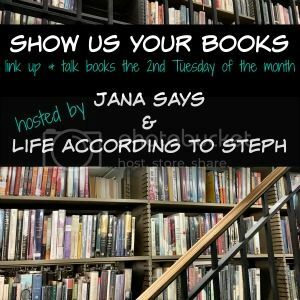 Have you been on a good reading trend? What's your favorite book or cookbook you've read this month? 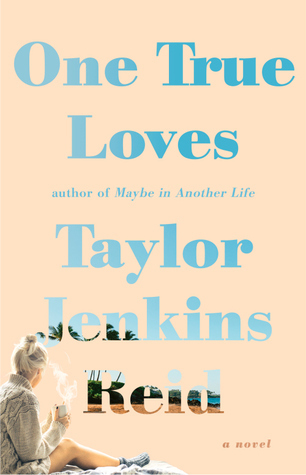 I am a huge fan of Taylor Jenkins Reid and One True Loves is probably my favourite of hers - I totally mirror all of your feelings on that one. Such a great story! Her other books are also really, really good! The Kids in the Kitchen book sounds intriguing - my main way of involving my kids is getting them to chop vegetables with these plastic serrated kid knives we have...they both LOVE doing that. I'm sure there are a lot of great ideas in the book though! Heather is probably the only person who loves TJR as much as I do so you should listen to her. I will say that her newest, The Seven Husbands of Evelyn Hugo, is without a doubt her best. It comes out next month! Good book months are the best! I finally just got One True Loves and am excited to read it at some point this summer. I've been hit or miss with her other books, but this one everyone seems to be raving about. Love Shay's blog, so I'm definitely going to keep an eye out for her cookbook! I am going to have to check out some of these books. I've been struggling with things lately, so I haven't read much. Hopefully these can get me back in the swing of things. The last one really grabbed my attention--I have lots of littles in my life! Love love love One True Loves!!! Did you like the way it ended? I will have to check out that cook book! That's a very odd set up for the Beauty & the Beast book - I'm not sure if I would be fascinated by the first 3/4 of the story but I might check it out to see. Your review of One True Loves has convinced me I need to finally try a TJR book - I haven't read any of hers, yet. Everyone raves about Taylor Jenkins Reid but my library only has one of her books and one that does not interest me. But I got approved on NetGalley for her latest book, which is on my reading list for this month. I can't wait! I love cooks books aimed at kids cooking with their parents. It's such an important skill set for kids to learn but also great family bonding. Some of my best memories are cooking with my Mom. Oh you have me sold on One True Love. I have it bookmarked in my amazon account. I want to know what happens! I snapped One True Loves up from Amazon kindle this week on sale so I have that to look forward to. 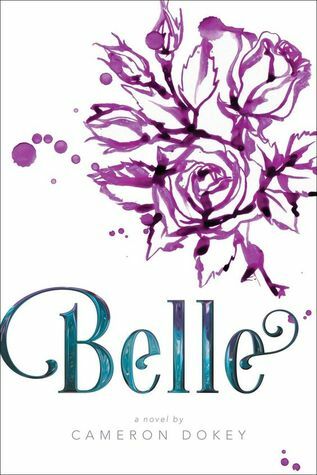 Belle seems like a great book to read. Perhaps they focused more on Belle rather than the relationship? 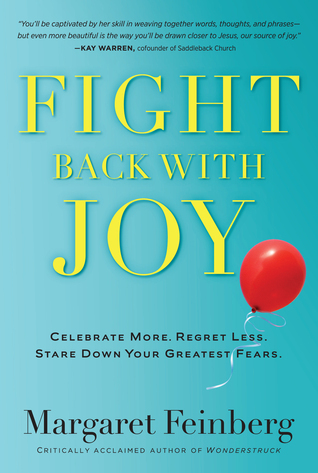 I want to read (and do the study) for Fight Back With Joy. I've been trying to figure out what "Choosing Joy" really means and just what it looks like in everyday life. Sounds like this book may help. I have not been on a good reading kick but I'm glad you are! I remember having cookbooks and helping my mom in the kitchen when I was a kid. It's definitely turned me into a fairly self-sufficient "cook." Lol! I haven't read 13 Reasons Why since it came out, but I know the show is quite different just because it has to be stretched out to fit episodes and not just a full movie. I hope you enjoy your re-read though. I really want to read One True Loves. It sounds great. hmmmm i am intrigued by Belle but the whole not meeting the Beast until like 75% does not sound good at all. I read 13 reasons why last year i think and i haven't watched the show but my friend was telling me about it and i was like.. i don't remember that! i didn't know if it was my memory being a loser, or if they changed things. i ADORED one true loves. love love loved it. I'm going to look for the One True Loves book. That sounds good. I am reading The Sound of Glass by Karen White, but have just begun. So far I'm intrigued. I'm in such a reading slump. Thank you for recommending such great and interesting books! I LOVED One True Loves. Really a great book. That Tex-Mex Ravioli in the Mix&Match Mama book sounds tasty! I may need to pick up Belle, sounds like one I may enjoy! I'm reading my first book (for fun) in months and I'm loving it! Although thanks to your post on IG I went and put the final OZ book on hold at the library, so when I finish King's Cage, I can start on it next! You did a lot of reading!! I'm totally adding One True Loves to my list right now, that sounds awesome. I always appreciate your reviews and will go look into a couple of these! Thanks!! One True Loves is my second favorite of hers. I love that reading her books (or, rather, I prefer listening to them) is like watching a movie. I've been on a decent reading trend. I'm ready for a book to blow me away though. Looking back over the past 4 months, I've only had a book or two that has stood out for me. I'm a little bummed about that. Hoping to read something really great this month. I really enjoyed One True Loves too! That cookbook sounds great. I'm always looking for new recipes and I love having my kids help me in the kitchen.